You really have to hand it to Ray Fawkes. At a time when most monthly comics are "written for the trade", he still takes the effort to make every issue of the books he writes accessible to new readers on the off-chance it might be someone's first. This is especially notable - and important - with a comic like Constantine #5, where the odds are particularly high that the issue will be picked up by readers who only bought it because it's a tie-in to the Trinity War storyline. Those hypothetical new readers are in for a treat, for Fawkes is a skillful writer as well as a generous one. 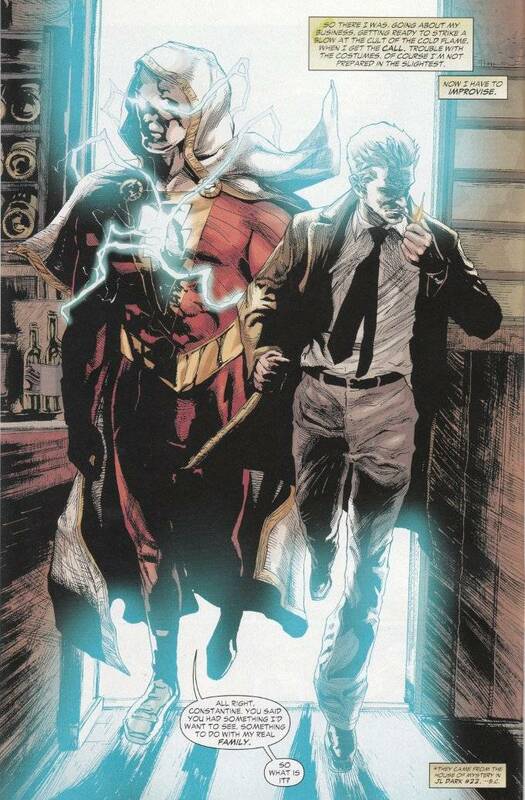 The story is vintage John Constantine, as everyone's favorite magical conman steals the power of Shazam on the grounds that a teenager like Billy Batson running around with that much unchecked magic is dangerous with everything else going on in the world at the moment. By sheer dumb luck, one of John's many enemies chooses this moment to attack him with a demonically-empowered minion and hilarity ensues. Artist Renato Guedes has shown his skill in depicting the gore and horror of a typical Constantine story in earlier issues. This book gives him the chance to show he's no slouch when it comes to drawing the usual superhero shenanigans. 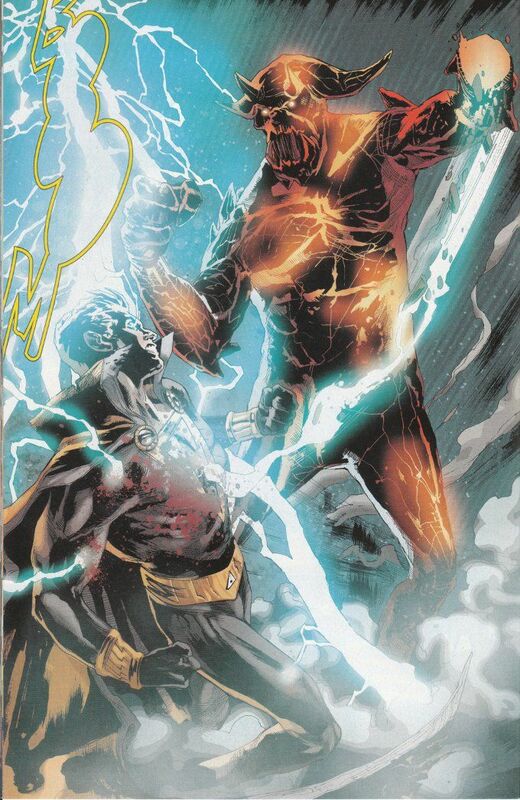 Despite this, Guedes' typical shadowy mystique remains unchanged and the aura of mystery that usually shrouds this book remains even as John is forced into a pair of tights and reduced to punching monsters.